Preparing for an NCCPA Exam? NCCPA Response to AAPA Move to "Take Steps Toward the Creation of an Alternative Certifying Body"
Throughout the last seven months, NCCPA has repeatedly and consistently invited meaningful dialogue and substantive discourse with AAPA, hoping for a collegial and constructive discussion about how to improve the relevance of PA recertification exam process given that more than 70% of PAs now practice outside of primary care. We have been disappointed by the actions taken by AAPA over this past year and their unwillingness to engage in dialogue around this important issue. AAPA has reversed course on over three decades of support for the recertification examination model, publicly attacking not only the details of NCCPA’s proposal for changes to the recertification examination but now demanding that NCCPA eliminate the PA National Recertifying Examination entirely. A timeline of events showing the interaction between our two organizations has been posted on our website. Earlier this week, AAPA announced its intention to take steps toward the creation of an alternative certifying body, presumably under a model that abandons any testing of PA knowledge, skills, or competence after initial entrance into the profession. We are concerned that this move on the part of AAPA may undermine the credibility of the profession, and we are not alone. Already we have heard from current and former members of the AAPA HOD who have expressed grave concerns about this AAPA Board decision. In May, the HOD defeated not one but two resolutions that suggested an alternative to NCCPA should be explored. The timing of this precipitous decision is also strange given that it has been well publicized that NCCPA is still in the exploratory stage of its discussions about potential changes to the recertification process; no decision has yet been made. Also, NCCPA’s Board has not met since early May and thus has not yet had an opportunity to discuss AAPA’s HOD resolution and subsequent communications. We find it puzzling that after this Board extended the public comment period to allow time for the HOD to offer its views of potential changes to the recertification exam, AAPA has gone on to issue a threatening legal letter and now this most recent decision before NCCPA’s Board has even had opportunity to meet and discuss the HOD resolution. Over the last several months, AAPA has publicly challenged NCCPA to prove that recertification testing is relevant to patient outcomes, safety, and satisfaction. NCCPA has already posted on its website the abundant evidence, from published studies in peer-reviewed journals, that support NCCPA’s recertification examination model and NCCPA’s proposed changes to that model. We look forward to a similar standard of evidence to document that AAPA’s proposed alternative certifying body and elimination of the recertifying exam requirement would best serve the interests of PAs, the profession and the patients served. We remain committed to working on your behalf and for the benefit of patients to improve the recertification process, and we will continue to report here on those efforts. In June, NCCPA conducted two important meetings with PAs related to potential changes to the PA recertification process, as we continue to gather perspectives and information on this important topic. On June 4-6, we hosted a meeting to identify what constitutes “core medical knowledge.” Fifty-five PAs from across the U.S. representing a wide array of medical and surgical disciplines came to Atlanta for this three-day meeting. Drawing upon data from NCCPA’s 2015 PA Practice Analysis Survey, and their own experience and expertise, they worked to identify the essential, foundational knowledge and cognitive skills required for PAs to provide safe and effective care for patients with a broad range of conditions and disorders, across the lifespan and across the spectrum of medicine. Their work will inform our ongoing discussions about potential new models for PA recertification as well as review of the content of the PANRE that exists in the current model. Then on June 10, we hosted an invitational meeting of PA specialty organization leaders for a day-long discussion to identify solutions to their concerns about the potential changes to PANRE under consideration. We identified concerns, focused on ways to mitigate issues, and even identified and discussed variations to the proposed model. Ten PAs from five specialty organizations represented their PA constituents in a conversation that was fruitful and that we hope will lead to further collaboration in the future. We are now planning a second such meeting for invited groups that were unable to participate in the first one. Work with other stakeholders also continues, as we survey state licensing boards, the public, employers and others who rely on PA-C certification. All of this will inform the NCCPA Board’s ongoing discussions. Our goal is not to create work or hardship but to improve the process so that the “C” continues to measure current medical knowledge and the reality of PA practice, supporting in meaningful ways full and effective utilization of PAs across the spectrum of medicine. Thank you to all those who participated in these meetings or provided input earlier in this process. We will continue to keep you informed as this important work continues. In last month’s News we wrote about recruiting for two new PA Board members to join the NCCPA Board for a four-year term beginning in January 2017. The deadline for applications is approaching, so if you’re interested in getting involved in the work of NCCPA, read more about the role and application process needed and then submit your application on or by August 8. All qualified applicants will be considered. To balance the perspectives represented within the Board and to advance our work most effectively, we are especially seeking those who are clinically practicing (preferably full time), residents of the Midwestern United States, relatively recent entrants to the PA profession (in the early stage of the PA career) and those with experience serving on other boards. If you’ve ever wanted to get involved at the national level, don’t let this opportunity pass you by! If you want to achieve recognition for your specialty experience through NCCPA's voluntary CAQ program, now is the time to schedule your CAQ exam. All CAQ exams will be administered nationwide on Aug. 1-5 and Sept. 12-16. The Psychiatry Specialty Exam is also being offered on Oct. 24-25 in San Antonio, Texas in conjunction with the U.S. Psychiatric and Mental Health Congress. Even if you are not ready to take the exam, you can register for the program now and take up to six years to complete the process. To sign up for the program or schedule an exam, sign in to your record. NCCPA offers CAQs in seven specialties: cardiovascular and thoracic surgery, emergency medicine, hospital medicine, nephrology, orthopaedic surgery, pediatrics, and psychiatry. NCCPA offers practice exams for PAs preparing for PANCE, PANRE or any of the seven specialty exams we offer to those pursuing a CAQ. Our practice exams help you assess your relative strengths and weaknesses across the content areas covered on the actual exams, which can help you direct your preparation efforts most effectively. These online practice exams cost $50. Sign in to register for a practice exam, or read more online. 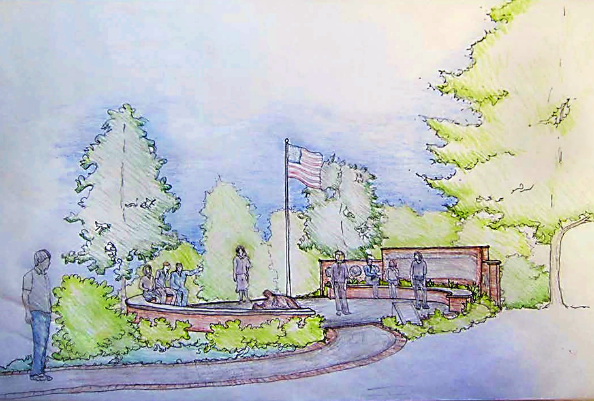 The PAHx continues to raise funds for improvements to the John McElligott Veterans Memorial Garden, a site that honors the contributions made by former and current military PAs to the PA profession. In addition to accepting general monetary donations, the Society has also established a “buy an engraved paver” program with the Bricks R Us Company. The tax deductible 9x9 inch brick pavers, which honor PA veterans and PAs on active duty in the Uniformed Services, can be purchased online here. The engraved paver will include the appropriate uniformed service logo and 3 lines for name, branch and years of service. The engraved brick pavers will be embedded in the wheelchair accessible walkway and the patio surrounding the centerpiece of the garden, the life-size bronze combat medic statue and flagpole. The pavers are a great way for PAs to honor their PA veteran colleagues, especially those who are no longer with us. The Society currently needs to raise $30,000 more to complete the garden enhancements, which will include new landscaping, walkway and a sitting area near the garden’s statue, spotlights for the flag pole, and a fence to enclose the garden. Please consider making a donation in honor of the veterans who are honored by this garden. For more information about this project, please visit our website, or write to us at contactus@pahx.org. Check out the summer edition of Historical Happenings, the Society’s quarterly newsletter, for the latest news in PA history! Let the nccPA Health Foundation help you promote your profession during PA Week (October 6-12, 2016) by providing funding for outreach projects focused in oral health or to meet another documented need in your community. Apply today! The $500 oral health community outreach grant encourages applicants to design programs that address the oral health needs of all patient populations, especially vulnerable and underserved populations – children, pregnant women, seniors, homeless, and those with substance abuse problems. Read about past outreach projects here. To get started with oral health outreach, view the grant guidelines as well as toolkits prepared by the Student Academy of the AAPA and others on the Foundation’s oral health page. See another need in your community? Take advantage of the Foundation’s Be the CHANGE (Create Health Access Now for Greater Equity) grant, which provides up to $1,000 in funding, to design volunteer or service-learning activities that deliver patient education and care. Past recipients are using the funds toward a student-run clinic for the homeless, a medical mission trip, a project with the Ronald McDonald House, and community health screenings. Grant recipient and Samuel Merritt University PA student Jessica Warner, who participated in a medical mission that treated more than 400 patients in a three-day clinic, said of her experience: “The trip made me feel more confident as a budding medical provider, and it was so incredible to help people in such a remote area. I look forward to continuing to ‘be the change’ for health in my PA studies and in my future practice." PA organizations and programs, student societies, and individual PAs are encouraged to apply. Grants are reviewed on a first-come, first served basis until all funds are expended; applicants interested in scheduling their outreach event for PA Week 2016 are encouraged to apply by August 8, 2016. The oral health grant is made possible through the PA Leadership Initiative in Oral Health with support from the NIIOH and its funders, and the Be the CHANGE grant is funded directly by the nccPA Health Foundation. A national press release issued by NCCPA: NCCPA Announces First-Ever Workforce Data on Physician Assistants in 22 Specialties. That NCCPA report resulted in great coverage in Forbes magazine about Physician Assistants Moving into Specialties Amid Doctor Shortage. An article in The Hospitalist promotes PAs in leadership positions in hospitals and education. Read: PAs, NPs Seizing Key Leadership Roles in HM Groups, Health Systems. Dawn Morton-Rias explains how “PAs Help Providers Address Satisfaction and Performance Metrics” in McKnight’s, a publication focused on long-term care and skilled nursing facilities.